TeeChart Chart Control provides a comprehensive set of 60+ Chart types in 2D & 3D, ranging from standard Bar, Line, Pie, Area to specialized financial and statistical charts. Charts are easily customizable with a complete chart toolkit to create attractive data visualisations for your Windows Forms applications. 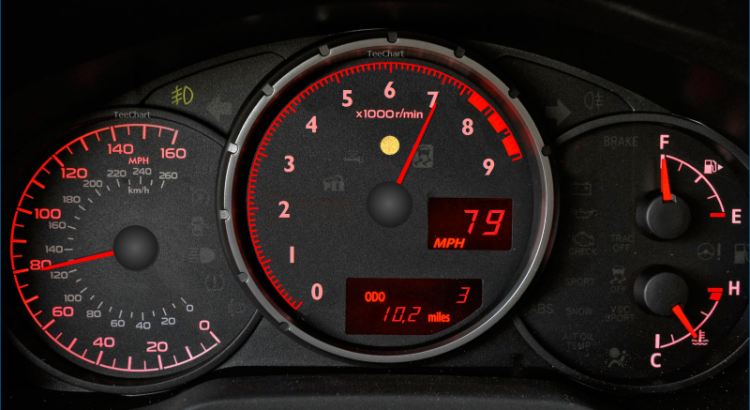 The example uses TeeChart's Circular and Numeric Gauges to simulate the acceleration of a 2016 Subaru BRZ car. Enhance your WinForms dashboard applications with fully customizable Gauges. Gauges styles for Windows Forms include CircularGauge, LinearGauge, NumericalGauge and more, with animation options and rich interactivity. TeeChart provides a set of customizable map visualisations that you can add to your WinForms projects to represent geographical data. WinForms dashboard application with live Web report. Choose from over 50 Financial and Statistical Indicators such as Moving Average Convergence/Divergence (MACD), Average True Range (ATR), Commodity Channel Index (CCI), Relative Strength Index (RSI), Bollinger Bands, Standard Deviation and much more to visualize data in financial-based WinForms applications.